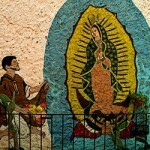 The Virgin of Guadalupe is the most significant image of Mary for Mexicans representing complex symbolism to rapidly convert the indigenous. 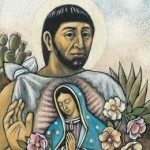 St. Juan Diego highlights the rights of indigenous people to have their cultural traditions and way of life honored and protected. 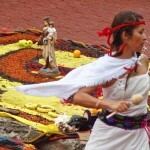 The Virgin of San Juan de Lagos’ pilgrimage is the largest in the western hemisphere. 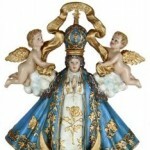 Our Lady of Loreto is an image of Mary that graces the city from many niches and doors and is the Grand Patroness of San Miguel de Allende. The Immaculate Conception is when St. Anne became pregnant with the Blessed Mother, Mary. 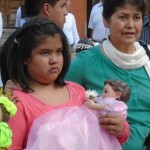 It is not when Mary became pregnant with Jesus. 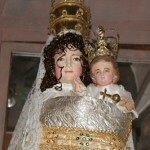 The image of Mary as a baby provides intervention on behalf of children and pregnancies on the 8th of every month. Presentation of Mary at the Temple, It’s Good to be 3! 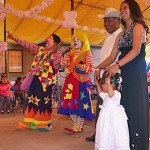 Parents in San Miguel take their three year old to church to thank God for their child and dedicate the child’s life to God followed by a big party. 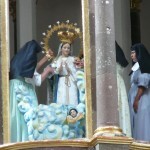 The Assumption is Mary’s heavenly birthday at the end of her earthly life filled with local customs from the colonial era. 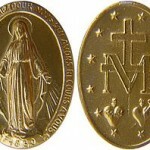 The Miraculous Medal is an exceedingly popular image dedicated to the Immaculate Conception, worn by millions including many in San Miguel de Allende. A scapular – a small piece of rough wool cloth – was given in a vision by Virgin Mary promising protection especially at death.